28th February 2015 – One big area needs to be insulated and finished with t&g. Once this area is done, I only have to work below the waterline and a few corners. I did half of it today and I hope to finish the rest tomorrow. 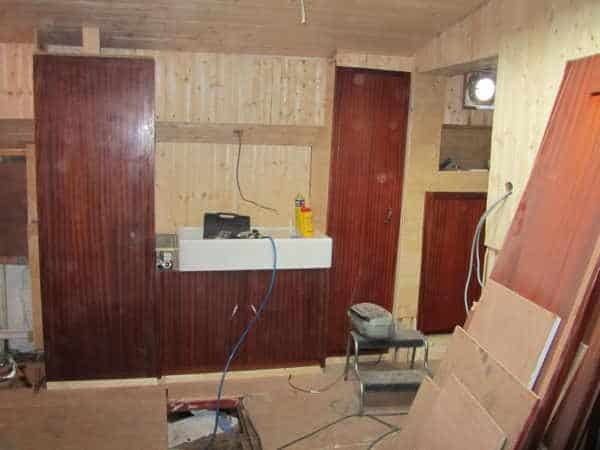 15th February 2015 – Running out of wood gave me time to continue building the kitchen. Since the wall is build, I can now easily finish the kitchen. 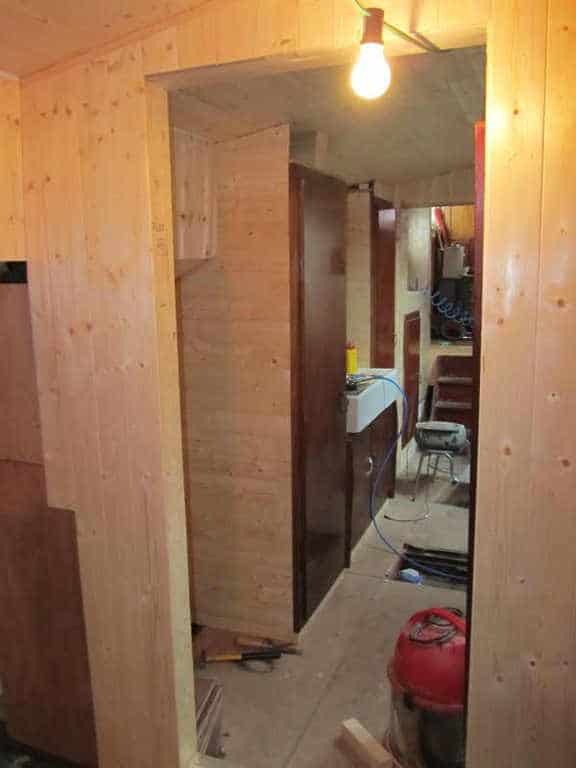 I still need to build one cupboard, an inspection hatch for the side of the ship, a cooker and room for a fridge. 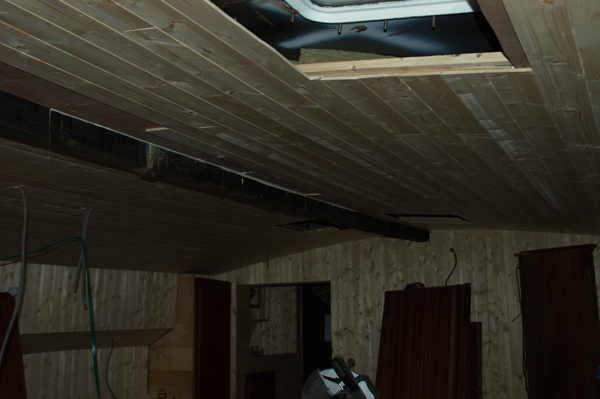 I’m happy I can reuse the old paneling from my neighbours spits barge. It gives a good contrast between old and new. 14th February 2015 – I spent most of the day cleaning the ship and building the wall. Every month I make one day free for cleaning the hold. When buying t&g, insulation and other items from the shop, there is a lot of packaging. There was some old wood I no longer needed. When finished, the hold seemed slightly bigger again…. 13th February 2015 – The hold will be divided into two areas. One is the exhibition space and the other one an extension to the back accommodation. 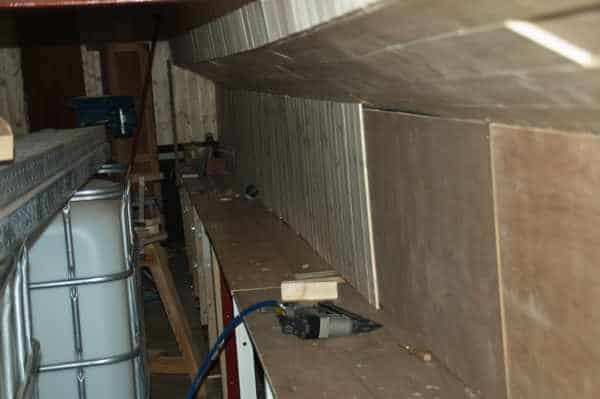 I welded a metal support from one site to the other at a certain height from the bilges. 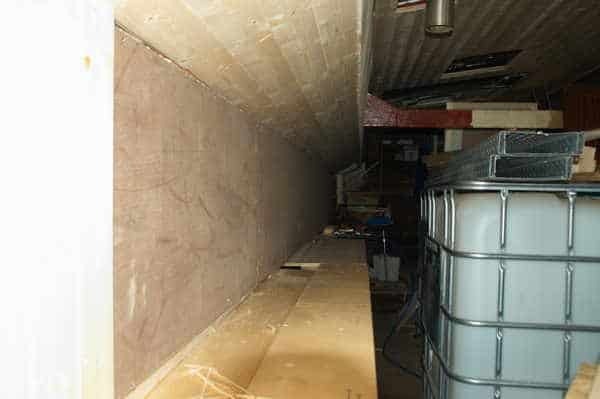 The idea is not having to break down the wall when I’m at the yard and there has to be welded underneath. 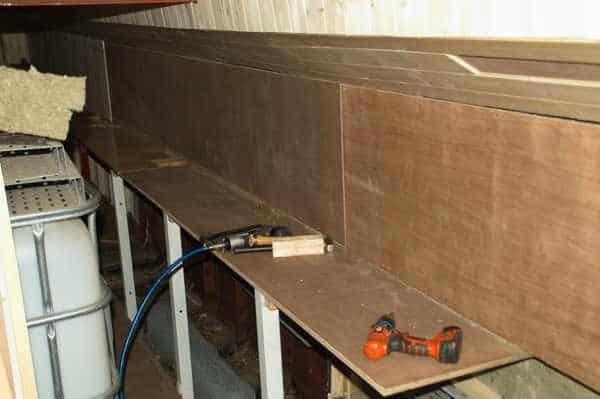 10th February 2015 – Finishing the wall on portside, cleaning where I will weld supports for another wall and counting how much wood was left. Written in one sentence but it took me all evening. 8th February 2015 – Just working on portside. 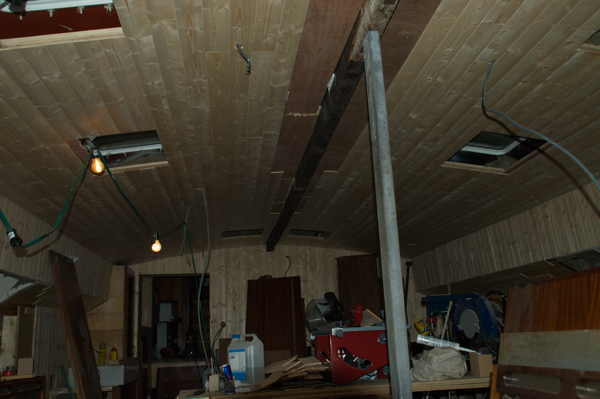 4th February 2015 – The ceiling is now nearly finished.